Q. What do the Locations in Compass mean? This FAQ will help you understand the different locations listed for items and resources accessible from the University Libraries. When searching in Compass, the right side of the results page contains many filters to limit your search results. Most searches in Compass will allow you to see a breakdown of results by "Location." Though this may not immediately appear when you complete a search, scrolling down on the right sidebar should reveal it. 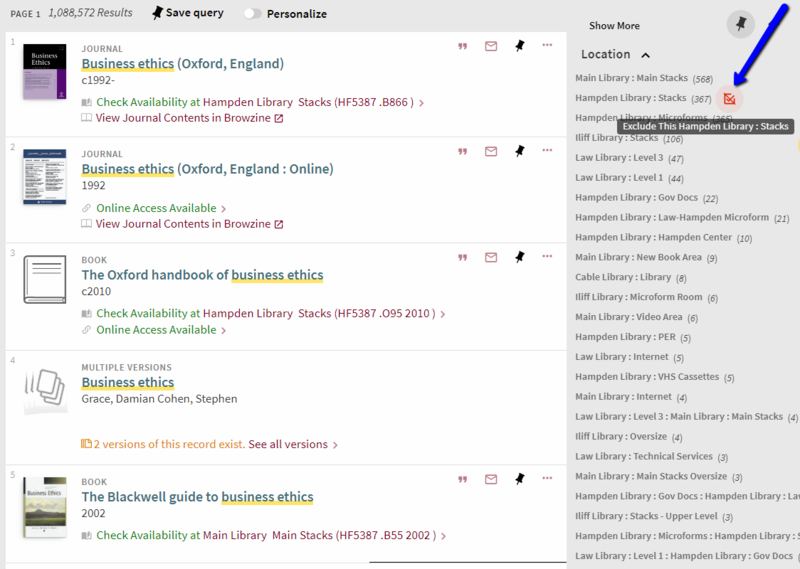 Location shows where the item is located in the library’s holdings. This includes both physical and electronic spaces. In some cases, and for very broad searches, you may receive an overbearing number of location results. You can choose to exclude certain locations so as to elevate physical items in your results by hovering over a particular location and clicking on the red button that appears. Alternatively, you can include only those results at a particular location by clicking on the location link itself. Physical items from any of the following locations can be requested and delivered to the Main Library, or any library location on campus. 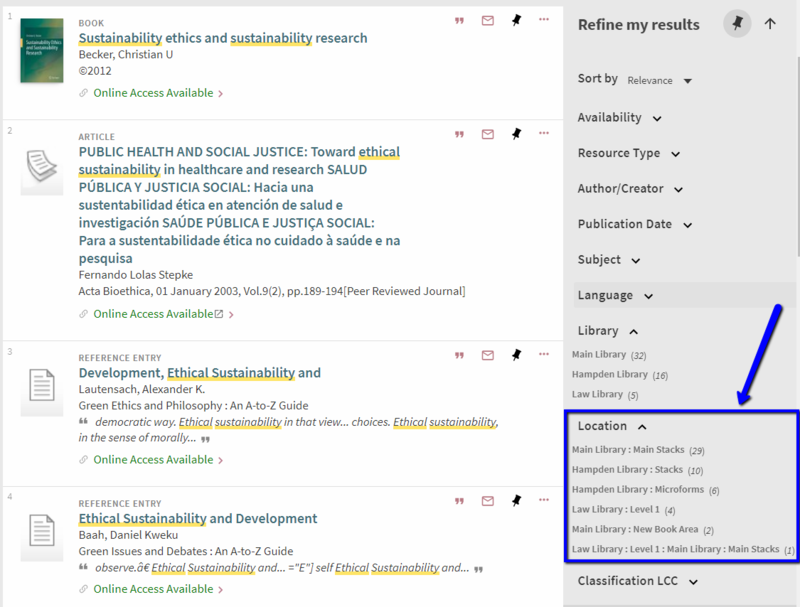 For more instructions on requesting items, see the How do I request items from the library? FAQ. University of Denver Students, Faculty, and Staff are also welcome to visit the Iliff, Law, and Music libraries in person to use or check out their physical resources. Any items with Hampden Library as their location are held in our off-site storage facility and will need to be requested to be delivered. There are multiple deliveries each day, so you should receive your items within a few hours of requesting them. Any items with Iliff Library as their location are held in the Ira J. Taylor library for the Iliff School of Theology. Any items with Law Library as their location are held in the Westminster Law Library for the University of Denver Law program. Any items with Music Library as their location are held in the Bonfils-Stanton Foundation Music Library, located on the fourth floor of the Lamont School of Music. Contact the Research Center if you need more help using Compass!